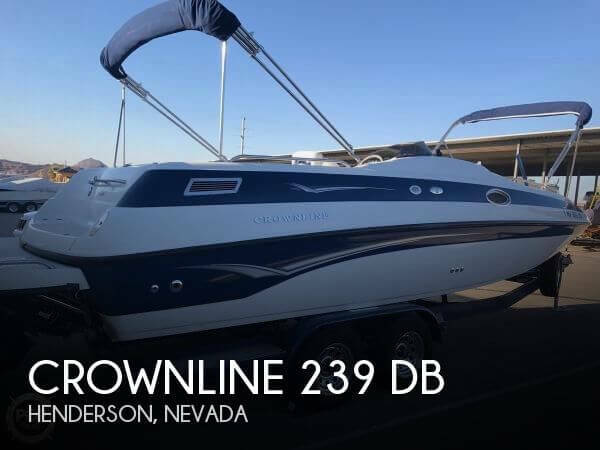 Nice looking Crownline, sleek lines, great Hull, no major damage spotted. 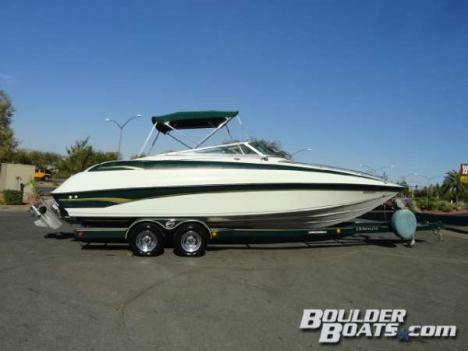 Interior is spacious and in good condition, Bimini Tops are in good condition. 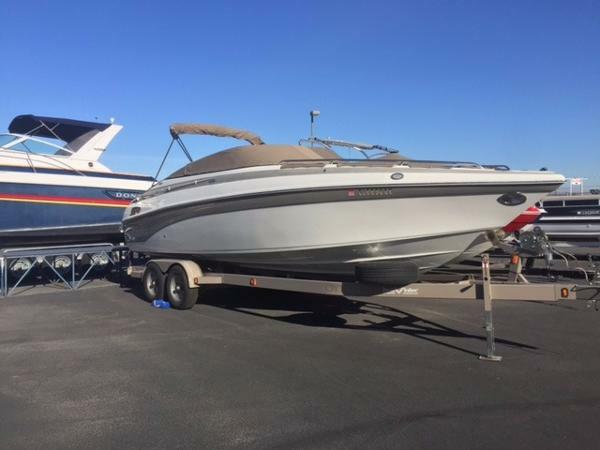 Vessel also comes with a trailer, take the vessel where you want to go. 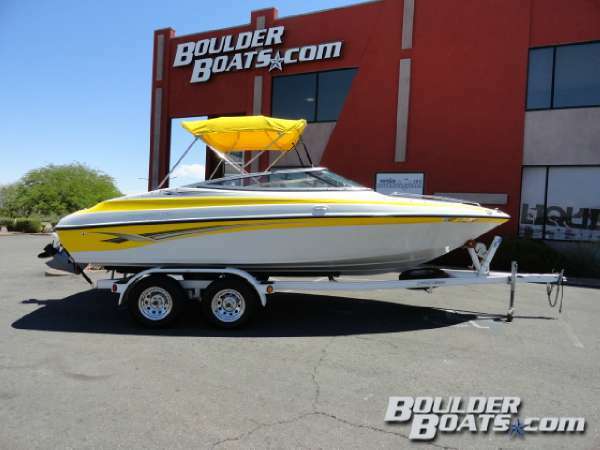 Stock #170309 CROWNLINE, BE the King and/or Queen of the water this year in this beauty, Super Low Hours, get it while it lasts. 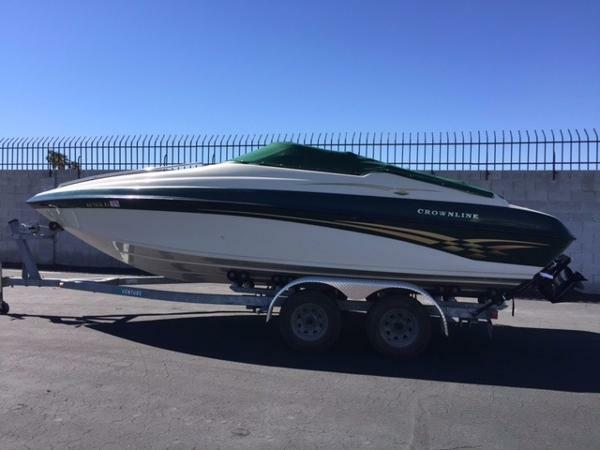 If you are in the market for a deck boat, look no further than this 2004 Crownline 239 DB, priced right at $22,750 (offers encouraged). 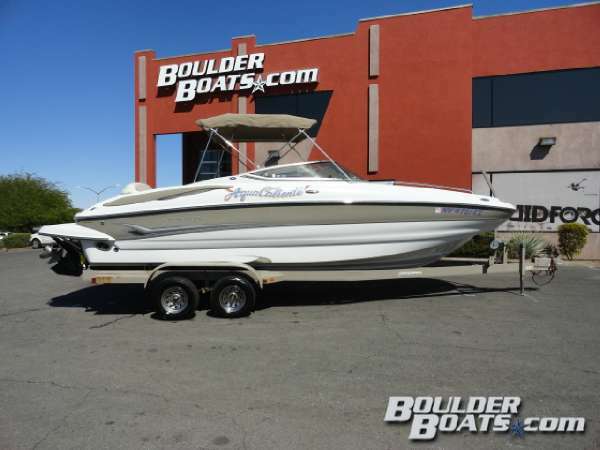 This boat is located in Henderson, Nevada and is in great condition. 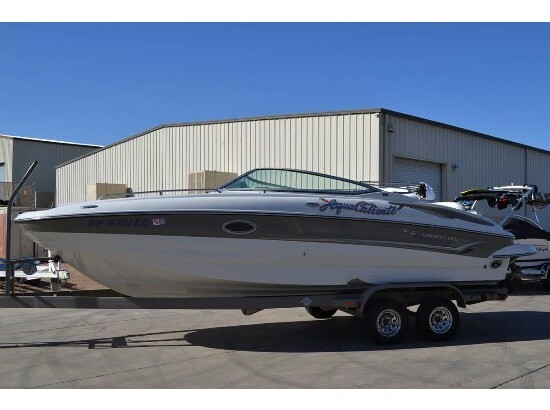 She is also equipped with a Mercruiser engine that has 301 hours. 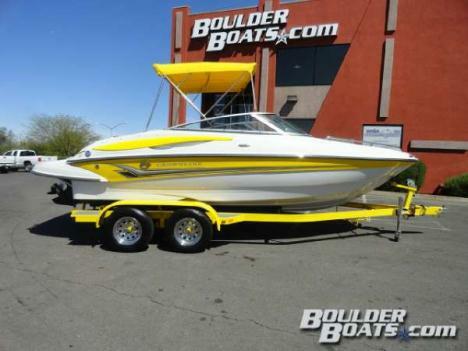 Reason for selling is other activities taking their time away from the lake, to good of a boat to just let sit!. 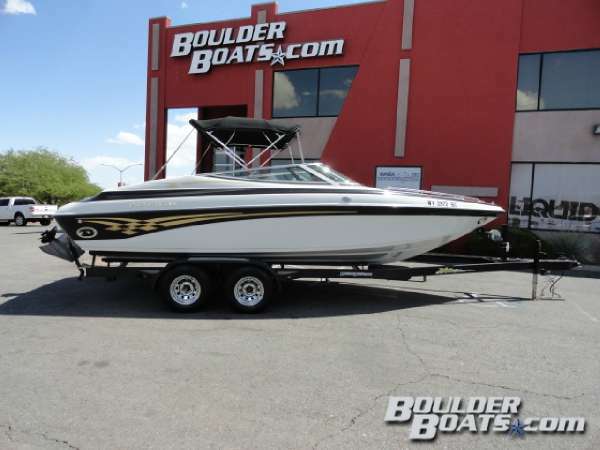 2005 Crownline 260EX, Just in time for summer...very desirable-- 2005 Crownline Deckboat 260EX. 220 engine hours. Good Condition. Annual Service has been completed and has current registration and Lake tags. 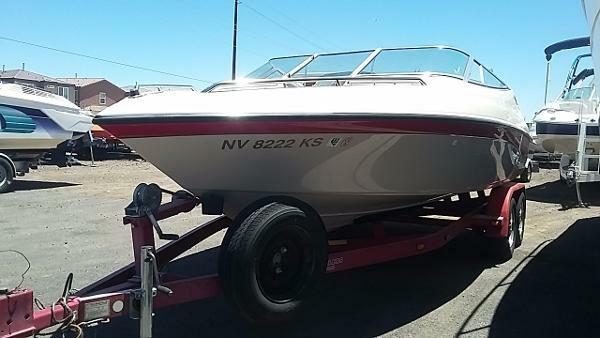 Boat cover and trailer included. Anchor, Dock Lines, Fenders, and 4 adult life vests included. Bluetooth stereo system. Bow and stern wash down. Blue underwater light. Swim step and front ladder. Interior carpeting and bimini top. Mercury 496 big block engine. Bravo III outdrive. Docking lights. Bathroom with sink and porta-potty. Table. Bow cushions to make into a bed. Plenty of storage space. Asking $29999 Free and clear title.